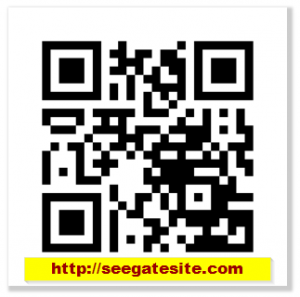 Programming Tutorials – seegatesite.com will share the article on how to build a QR code generator site with php qr code library. Perhaps you’ve visited several sites like qr-code-generator.com, goqr.me, www.qrstuff.com, etc , and you think, how do we build it. We can create qr code generator site with the help of php qr code libraries or using Google’s API chart. Both library or API can be used free of charge and easy to use. The difference is if you build qr code with php qr code library, the entire control stand beside you, in contrast with google chart API, you need to use a third party site. In this article I will be more focus on the use of QR CODE PHP Library. According to official site php qr code, PHP QR Code is open source (LGPL) library for generating QR Code, 2-dimensional barcode. Based on libqrencode C library, provides API for creating QR Code barcode images (PNG, JPEG thanks to GD2). Implemented purely in PHP, with no external dependencies (except GD2 if needed). 1. Download library php qr code here. 2. Your server must support PHP with gd image library (php5-gd). For installation has been much discussed. 3. Create a folder as “qrcode”, then copy the folder phpqrcode (phpqrcode library in zip form) that has been extracted into the folder “qrcode”. String $text text string to encode. String $outfile (optional) output file name, if false outputs to browser with required headers. Integer $level (optional) error correction level QR_ECLEVEL_L, QR_ECLEVEL_M, QR_ECLEVEL_Q or QR_ECLEVEL_H. Integer $size (optional) pixel size, multiplier for each ‘virtual’ pixel. Integer $margin (optional) code margin (silent zone) in ‘virtual’ pixels. Boolean $saveandprint (optional) if true code is outputed to browser and saved to file, otherwise only saved to file. It is effective only if $outfile is specified. a. Creating temporary qr code image. b. Creating permanently qr code. 5. To build the qr code generator site, I chose the first way, which makes qr code image temporary. Demo application in the following link. In the demo above, I use jquery and bootstrap framework so that the interface look more attractive and mobile responsive. a. Create an index.php and copy the following script. b. Create new php file as data.php and copy the following script. c. Create new php file as parameter.php and copy the following script. d. Create new CSS file as style.css and copy the following script. Google provides APIs that can be used to create qr code with the following syntax. cht=qr : Specifies a QR code. chl=<data> : Required The data to encode. Data can be digits (0-9), alphanumeric characters, binary bytes of data, or Kanji. You cannot mix data types within a QR code. The data must be UTF-8 URL-encoded. Note that URLs have a 2K maximum length, so if you want to encode more than 2K bytes (minus the other URL characters), you will have to send your data using POST. Hi, I am trying to accomplish something with QR codes and cannot grasp how to do this on a WordPress site. Basically, for every new blog post, I would like a QR code automatically generated to link to that post address, however, I do not want it to display on the page. Rather I want it to be saved to a folder on the server with the filename corresponding to the blog post ID so that it can be retrieved later. Is this possible? There is a free jquery library called shieldui-lite on github that supports qrcode generation. You can download it here: https://github.com/shieldui/shieldui-lite. There’s a very, very good tutorial how to install it. Next, you replace the hard coded value of the qrcode with some variable that gets the post address and generates that qrcode. The easiest way then is to write a specific webpage that only you can access, where for every post a qr code gets generated and it puts them all in a list. Hi! there is some problem in this script. i had use this on my website but when put any type of data like url then result not shown. can you guide me what can i do ? Adding the following at least displays the qrcode whereever it is placed but the contents are not correct and need to be modified somewhat. Hope you can put things right to help people who can’t get your code example to work.